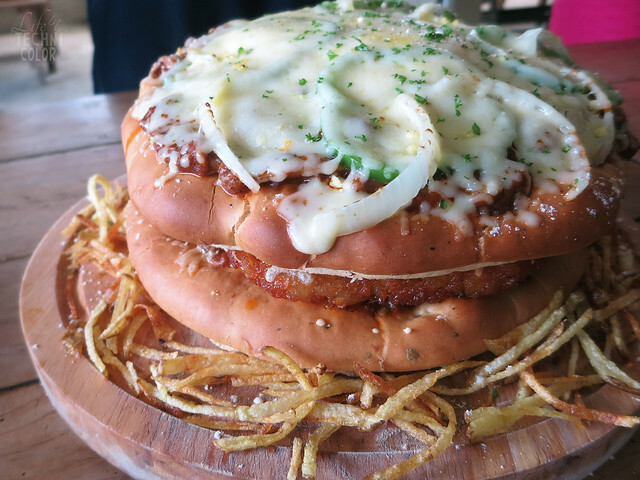 Welcome to Burzillian Nation - where the burgers are bigger than your plate! 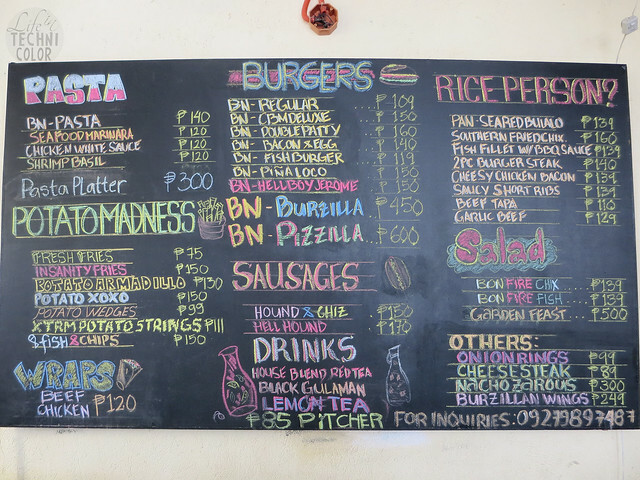 Burzillian Nation is a no-fuss, no-frills burger joint in Santa Rosa, Laguna. 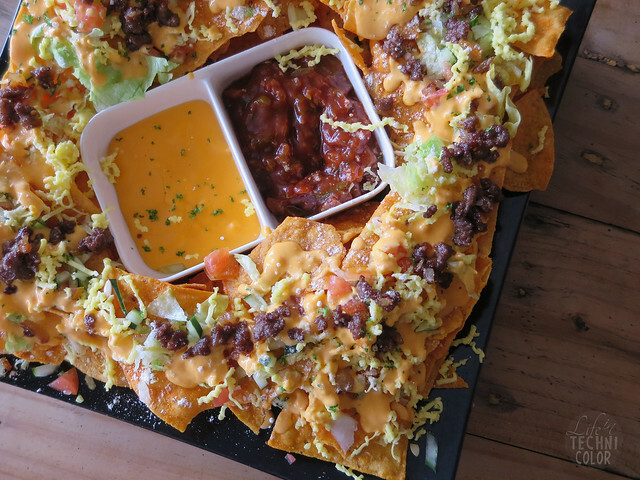 Probably the best nachos platter I've tried - it's a steal for its price! It's loaded with ground meat, tomatoes, lettuce, and their homemade cheese mix. Yes, homemade cheese mix. 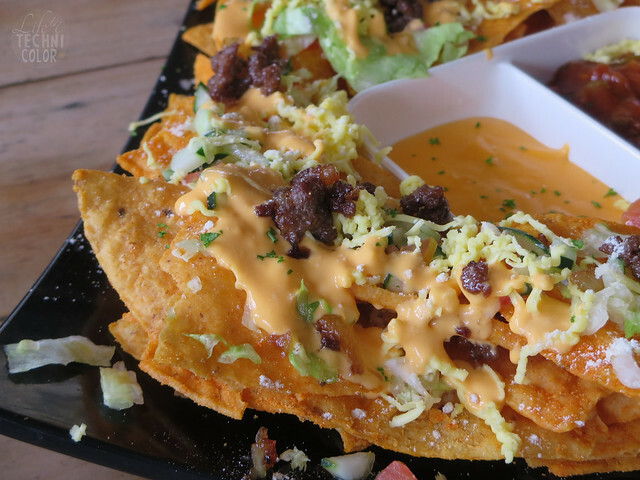 The nachos they use are cheese flavored, too. How awesome is that? Cheese on cheese!! 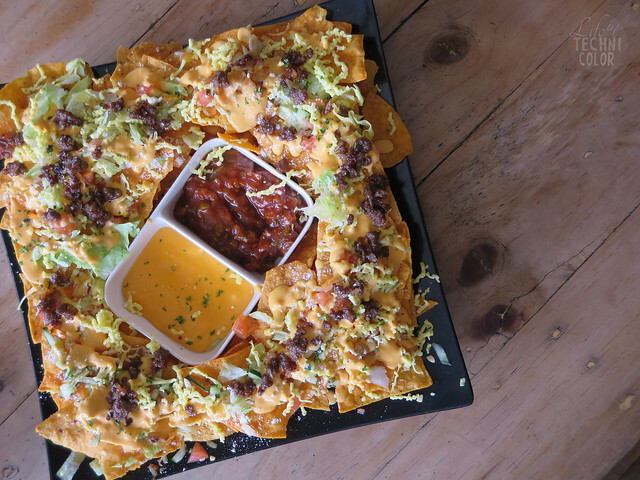 Definitely a great starter for your barkada bonding sesh! 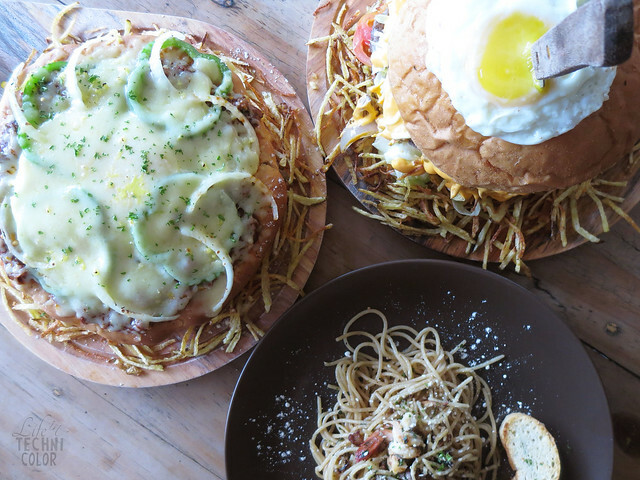 Believe it or not, their pasta dishes are their "light" offerings, compared to their burgers, at least. 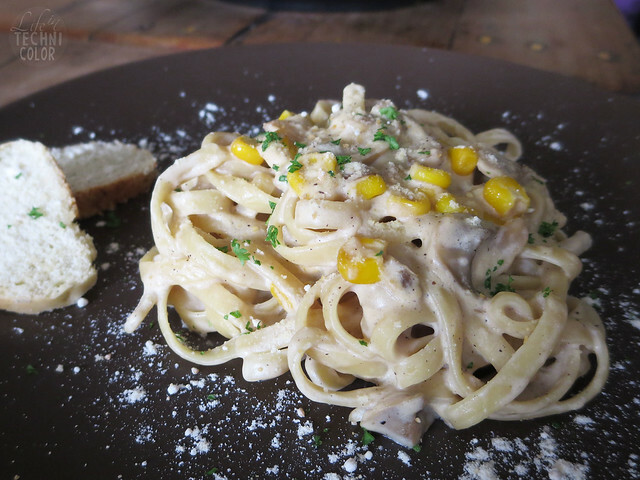 This one is their version of carbonara - cream based pasta filled with corn, mushroom, and chicken. 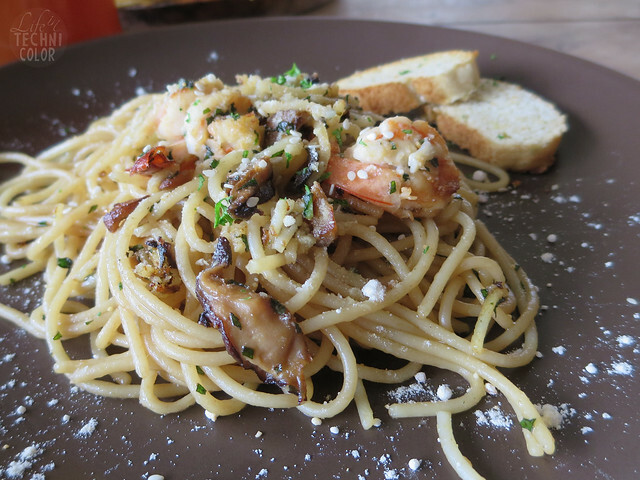 If you want something even lighter, go for their oil-based Shrimp Basil Pasta instead. 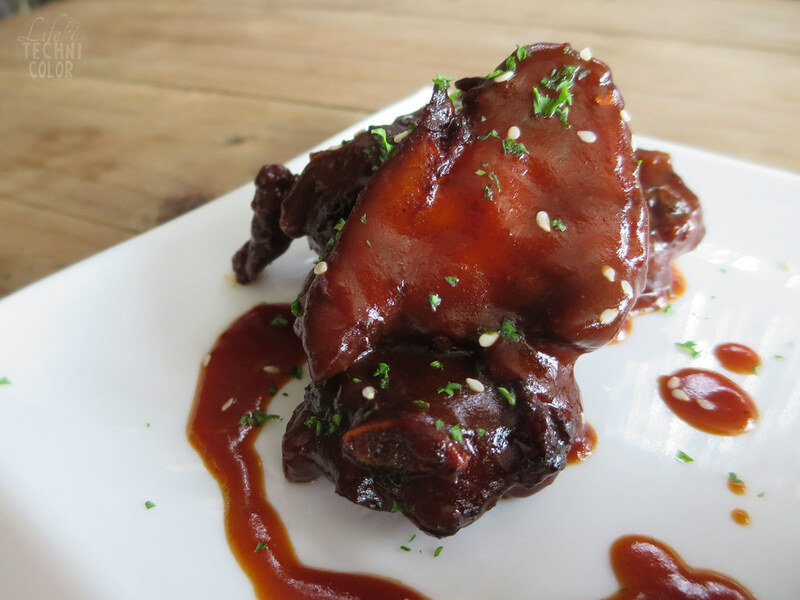 On the other hand, if wings are your thing, they also have Burzillan Wings (P249). 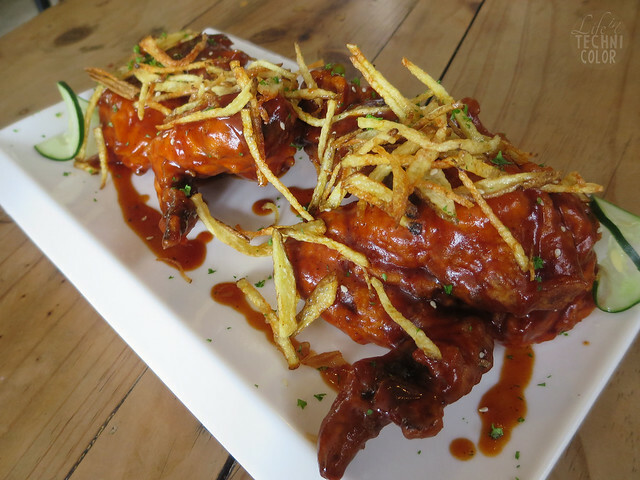 It's like buffalo wings with no bleu cheese dip, because the wings are already moist and flavorful as is. 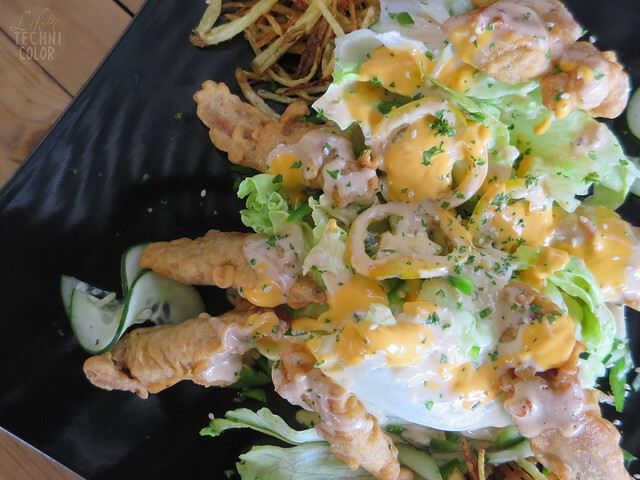 They also come with Burzillian Nation's homemade potato strings. Now that I think about it, Burzillian Nation is not just limited to burgers. 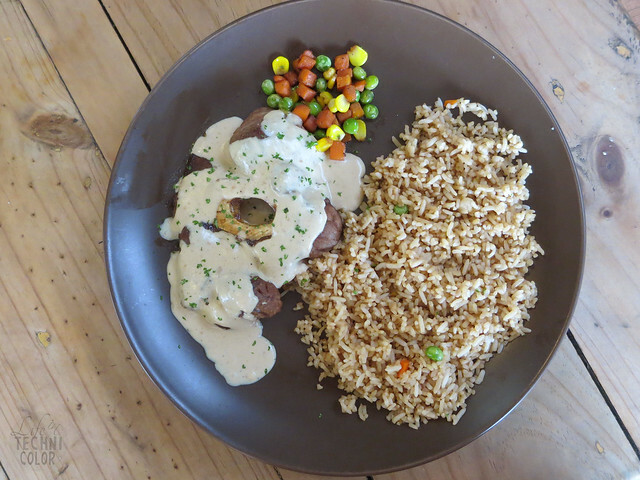 They offer everything from rice meals, salads, potatoes, pasta, hotdogs, and burgers! 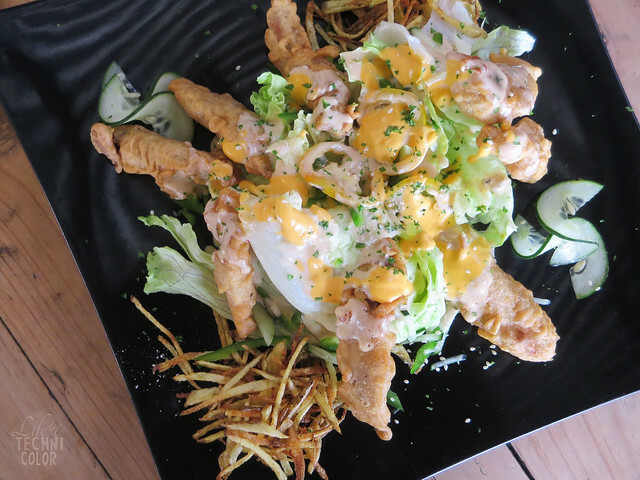 It's a great hangout place for people wanting to eat unpretentious good food. Food doesn't have to be expensive to be delicious, and I think Burzillian Nation is a perfect example of that. I mean, you can even bring your dates here! 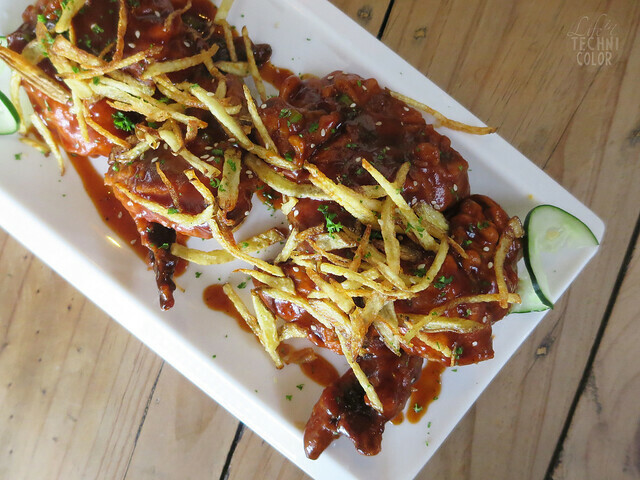 If she's feeling sosy, I would suggest getting the Saucy Short Ribs (get it? Haha!) To be honest, I didn't expect to find such nicely plated dishes here. 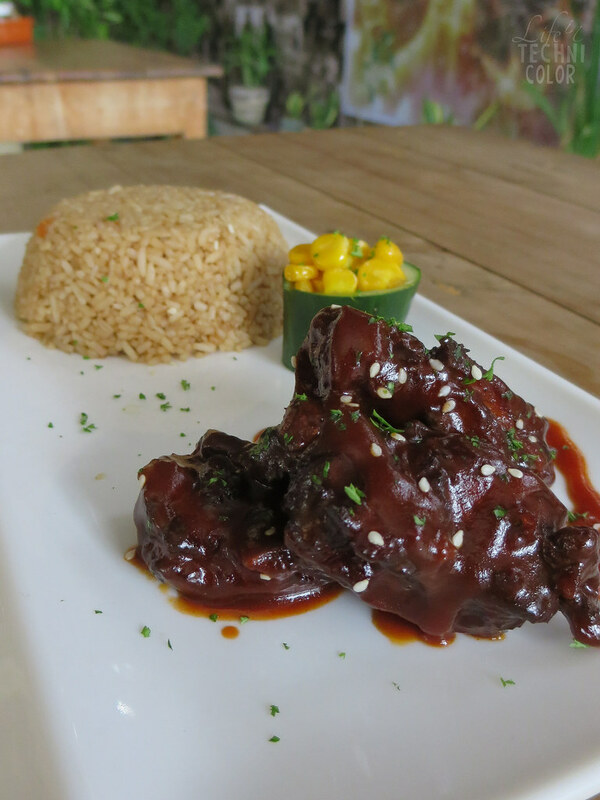 And for only P139! 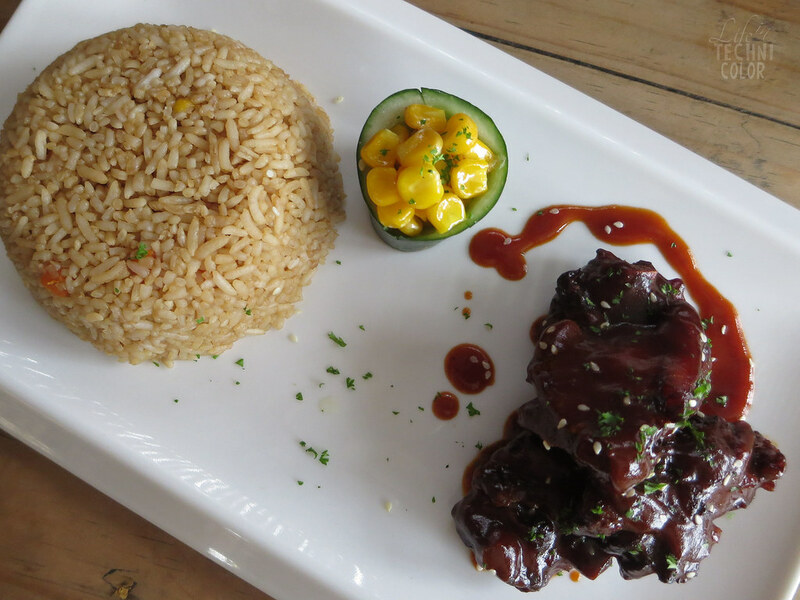 The portions are smaller compared to their other dishes, but that's because ribs are generally expensive. Perhaps they could consider offering bigger portions for a slightly higher price? I think P200 would still be a reasonable price for a ribs meal. What do you think? I think this one's perfect for guys - just look at all that rice! Their Pan-Seared Bulalo is a completely new dish for me since I've only tried bulalo in soup, but it's a great alternative if you're just ordering for one person and just want a whole lot of meat on your plate. Salad, anyone? This one has more chicken than greens, but I'm not complaining! Vegetables aren't really my thing, so I didn't bother with it (haha), but I loved that the chicken was flavorful on its own, and tasted even better with the dressing! This was one of my favorites that day. 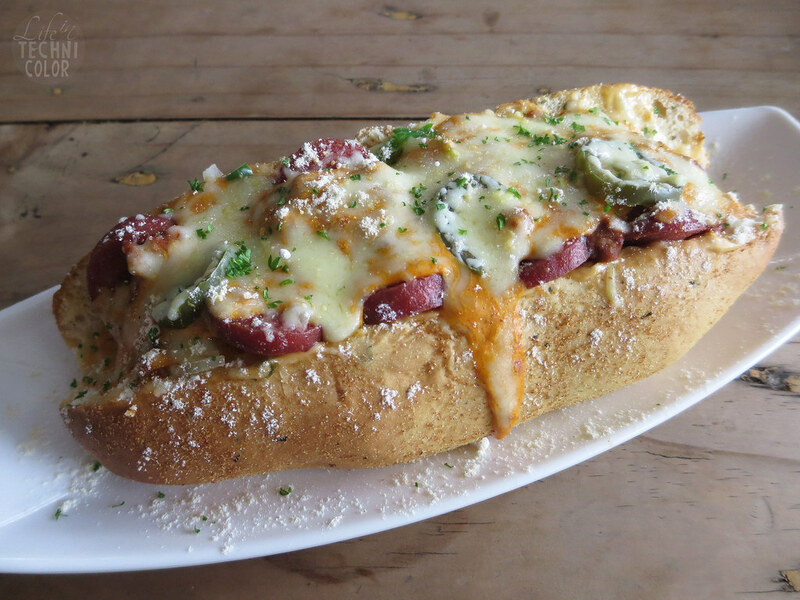 The Hell Hound is a hotdog bun with spicy sausage and lots of cheese! I've never had anything like it before. 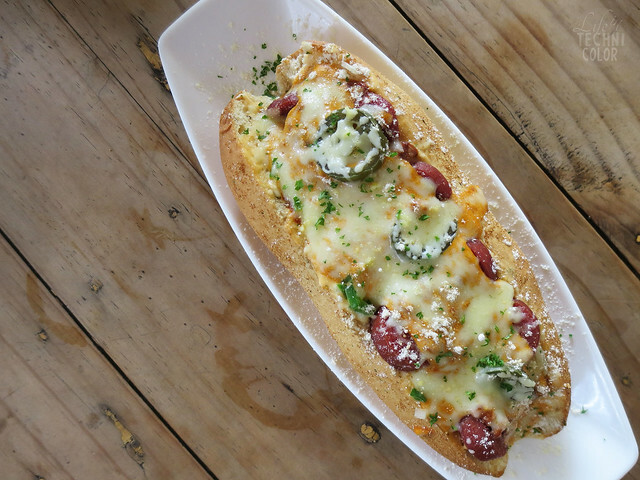 The cheese went well with the sausage, as it kind of contrasts its spiciness. Just make sure to have a glass pitcher of water nearby in case it turns out being too spicy for you. 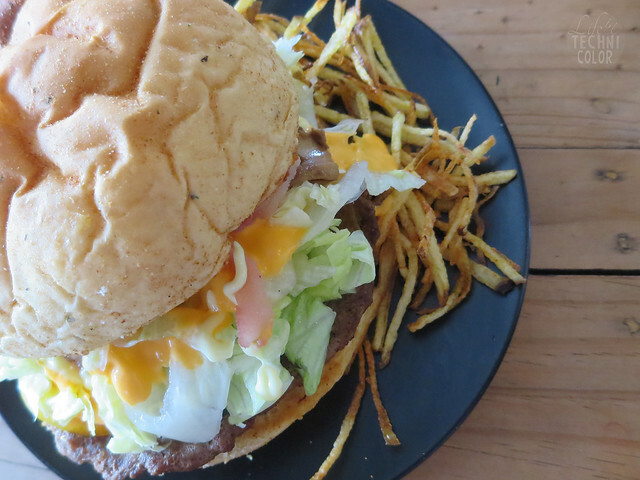 Here's one of their regular-sized best-selling burger. It's basically cheese, bacon, and mushroom, which is always, always a sure winner! It's my go-to burger whenever I see it on the menu pretty much anywhere. The goal of Burzillian Nation is to create a nation of Burzillians - their customers - hence the name. They've only been open for a year and I admire the two owners, Michael Tiongco and Jerome Serrano, so much for pushing for their dream. Neither of them have professional training, it's more about their love and passion for food that led them to where they are now. Like I mentioned earlier, their cheese is homemade. 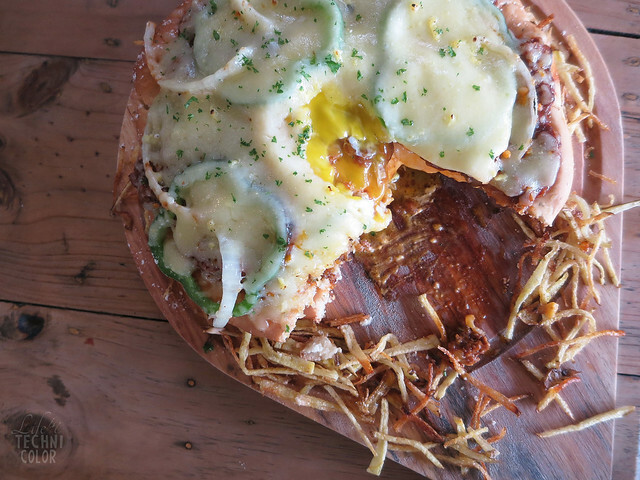 They make it by combining different cheeses together, but that's not all. Their breads are made in their kitchen as well! Even though they open at 12pm, they're already hard at work hours before that to make the basil bread that's used in their burgers. The potato strings aren't store bought, too! Imagine how long it takes to peel and slice potatoes, let alone potato strings! Aside from that, their burgers actually have no extenders. So it's amazing how they're able to keep their prices so affordable! I feel like so much heart is placed in every dish that I wouldn't mind driving to Santa Rosa just to dine here, especially now that I know Burzillian Nation's story and how they make their food. 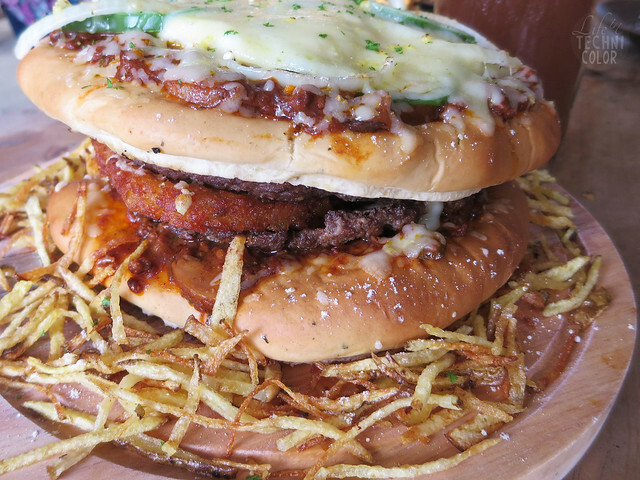 Now, let me introduce you to the two burgers that has really placed them on the map - the Burzilla and Pizzilla. 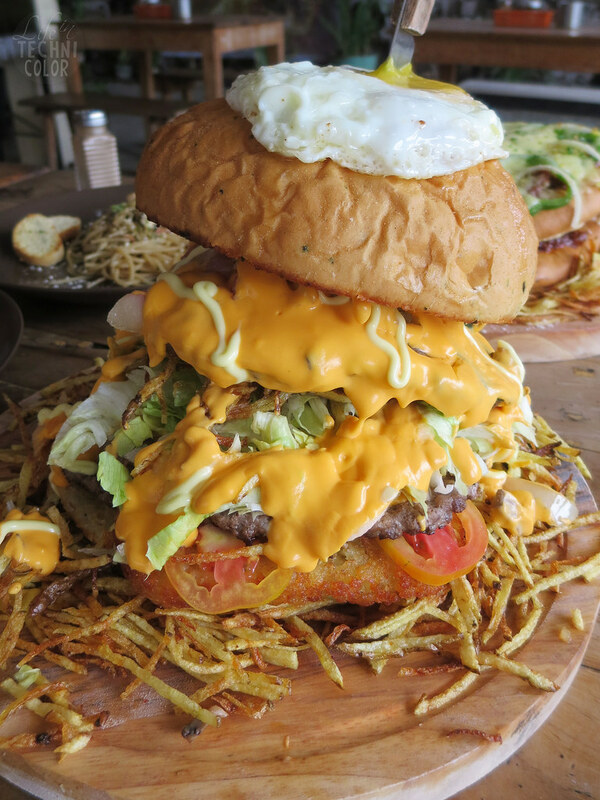 If you haven't figured it out yet, they've combined the words burger and godzilla and came up with Burzilla. 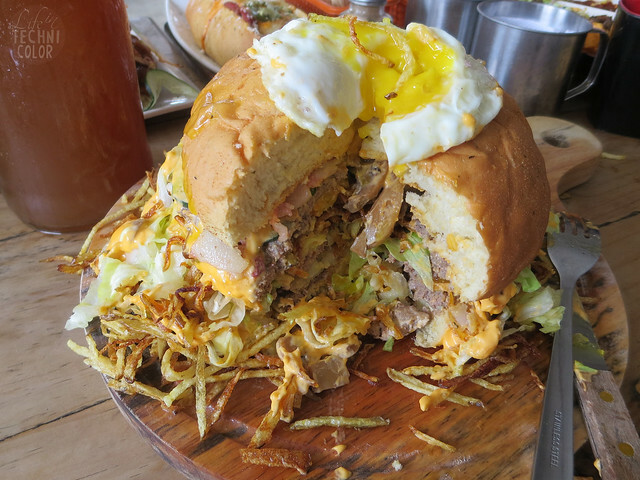 The name's pretty appropriate because this burger is huge! There's really no other word for it. I've taken three different angles of it so you can understand what I'm talking about. The great thing about this is that, it tastes better than it looks! I'm not a huge fan of burgers, I admit, but this one takes the cake for me. Maybe because it contains cheese, bacon, and mushrooms? I don't really know. Another thing I loved about this was that the egg was cooked over easy. 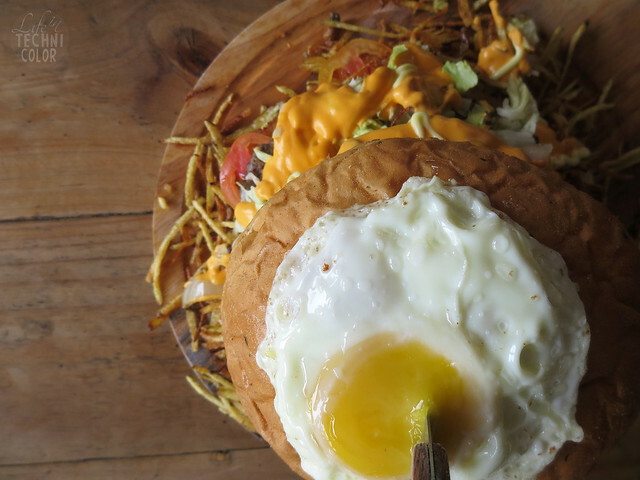 When we cut through the burger, the yolk dripped down the insides of it. Gaah. No words!! Now, doesn't this look like a pizza from the top? 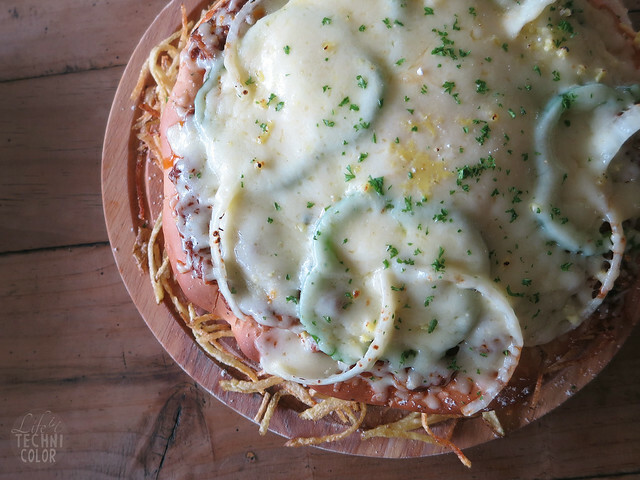 There's so much cheese on this, I can't even! Hahaha! I hate it when people say that, but seriously, I. CAN'T. EVEN. 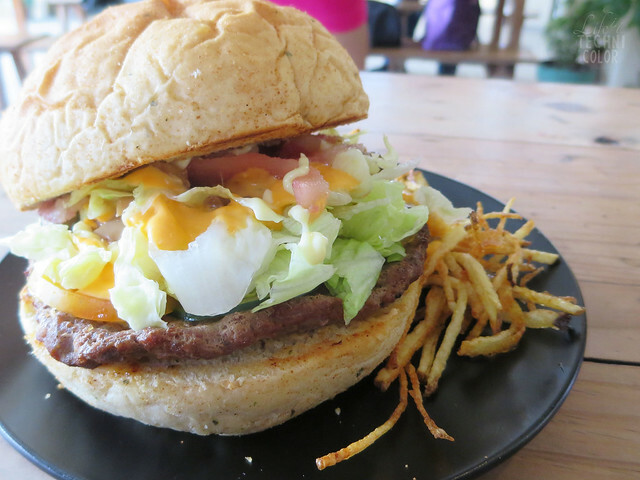 If you love burgers and you haven't tried this yet, what are you waiting for?? 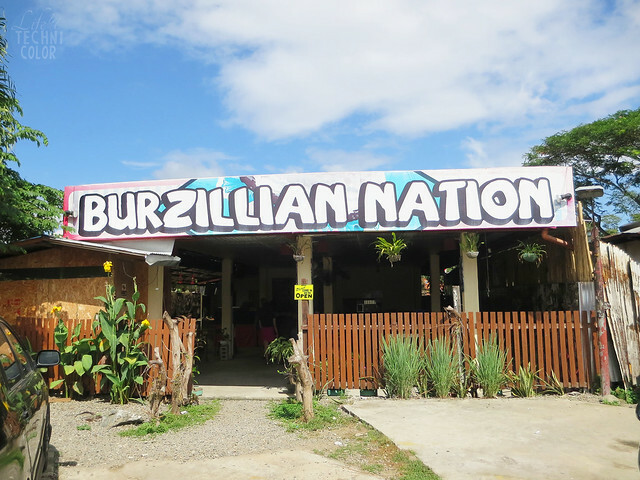 Burzillian Nation is located at Santa Rosa-Tagaytay Road (right in front of Hyundai Showroom). They're open from 12nn to 10pm daily. Soon to open: Burzillian Nation in Dasmarinas, Cavite.